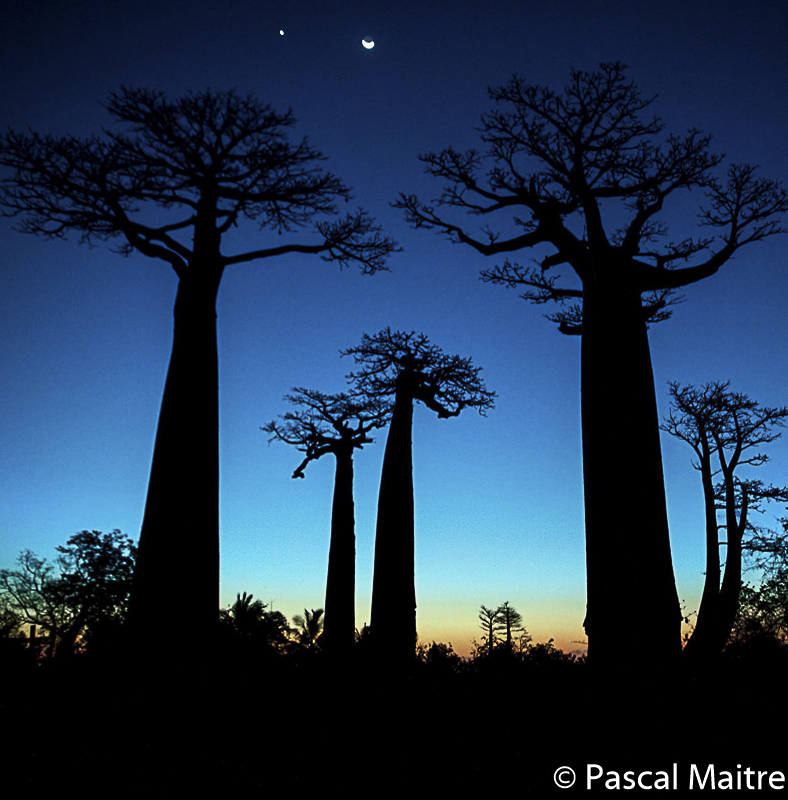 Nature photographer Pascal Maître has made 27 trips to Madagascar. 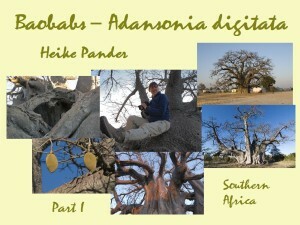 He took photographs of the most unusual trees on the island: the baobabs. 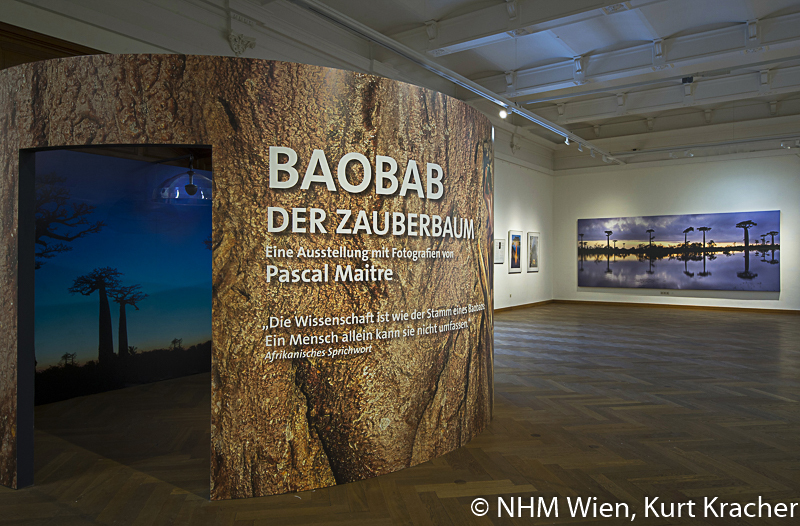 Until June 3rd this year the impressive results of his work can be seen in the baobab exhibition “Baobab – the magic tree” in the Natural History Museum (NHM) in Vienna. 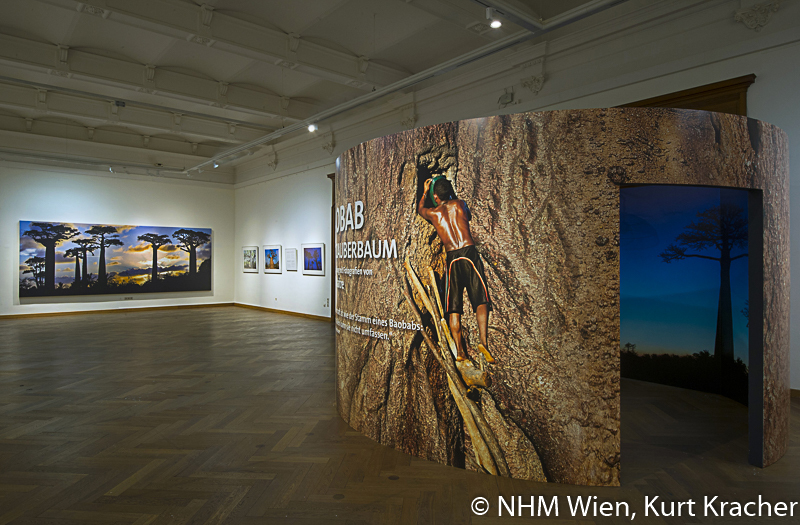 A fantastic space for exhibitions opens up to the visitor on the top floor of the museum. It reveals over 40 of Maîtres masterpieces. From the entrance to the right, an appealing and atmospheric shot of baobabs in the sunset – stretching over several meters – immediately attracts attention. Just by looking at it, one could forget the day-to-day life for a while. The longing for a journey to the iconic trees starts knocking gently. Eight species of monkey bread trees grow on Earth, seven of which on Madagascar and six are endemic to the island. Maître expertly captured the trees from various perspectives. One gets a coherent impression of the dimensions of the trees which can grow up to eleven meters thick and 30 meters high. Some of the photographs allow a glimpse up the impressive trunks from the frog’s perspective. The bird’s eye view in turn allows fascinating insights into the trees’ habitats. The impressions at eye level are informative: the observer sees people interacting with the giants: they peel off bark or cover the roofs of their houses with dried baobab bark. Another photograph shows several men in colorful outfits trying to embrace a thick trunk – they do not succeed. 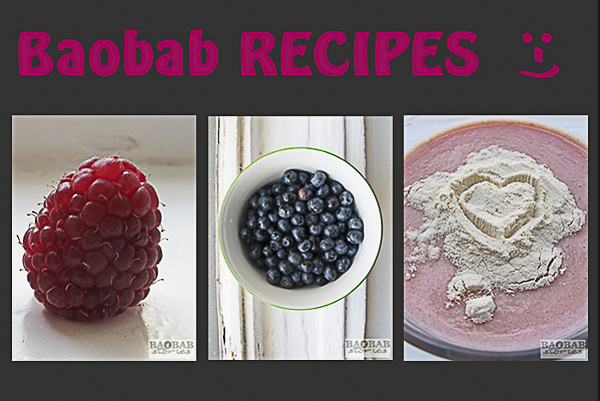 All parts of the baobab can be used. The leaves are popular as vegetables, the vitamin C-rich powder from the fruits tastes very good as a fruit juice, the roots provide a red dye and from the bark craftsmen produce ropes. 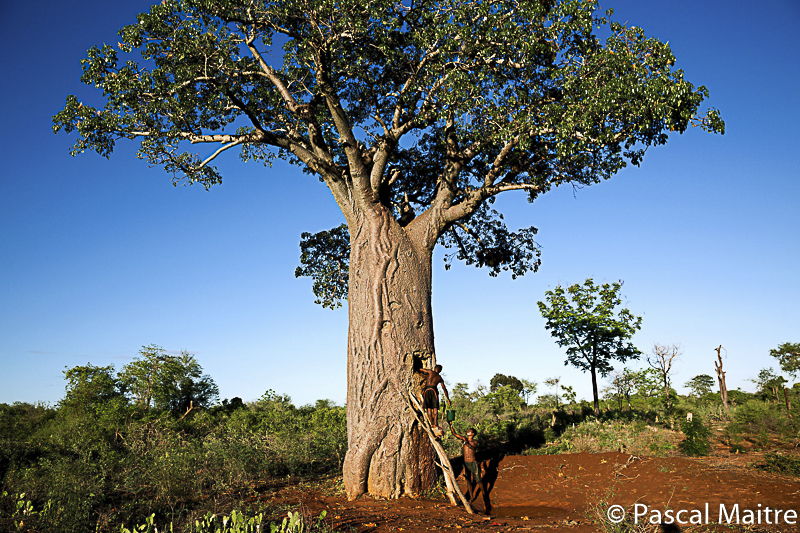 The baobab is known as the “tree of life” because it provides important ingredients for traditional medicine. Meanwhile science proved that the leaves of some baobab species contain antiviral agents. The Baobab fruit powder can be used to reduce fever and for the treatment of intestinal diseases. The trunk of the oldest baobab with its many furrows and wrinkles has been given the name “the old grandmother” by Malagasy people. Often these trees stand alone and are clearly visible from a distance. Older baobabs hollow out from the inside over the years. People take advantage of this natural process: they live in the trunks, keep their livestock in them, or store supplies. Rainwater also collects in cavities and is used by humans and animals alike during dry seasons. The tree does not only keep water in cavities – it stores it in its trunk, branches and roots which helps it to survive dry phases. 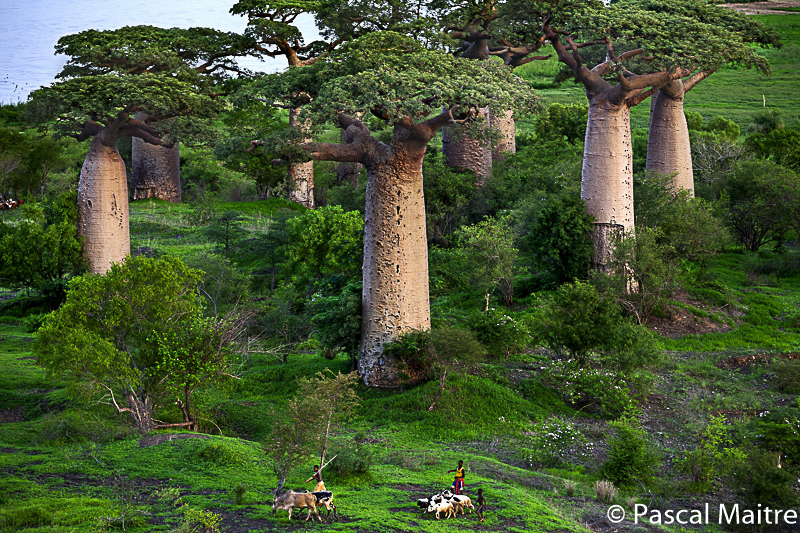 Baobabs offer space, food and shelter to many creatures. Especially birds and tree-inhabiting mammals raise their young in the caves and niches. 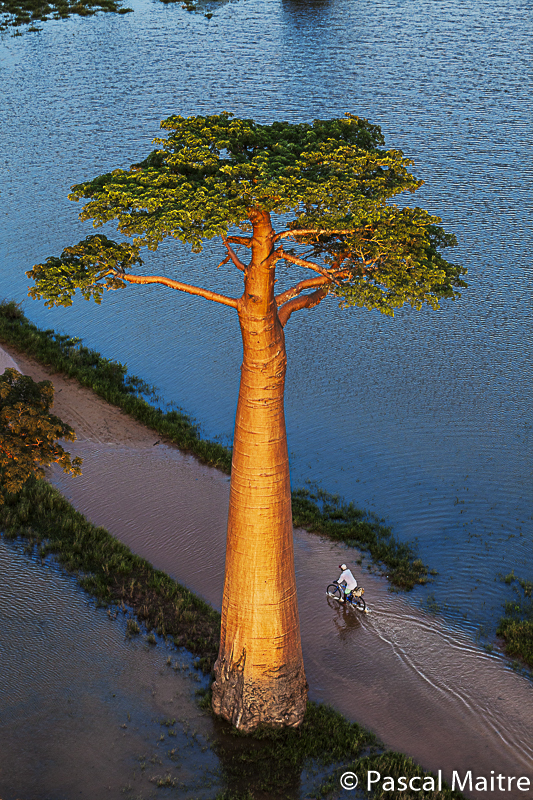 For many Malagasy people baobabs are holy and many stories and myths are told about the trees. 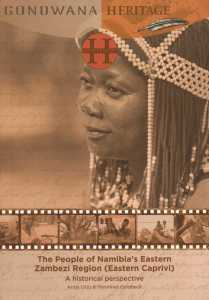 Thus, the Malagasy counterpart to the biblical Adam is said to have formed his “Eve” from the baobab. Legend has it that the creator god Zanahary loved the baobab and gave it the best place in the forest. But the tree could not tolerate the moist environment. It started nagging until Zanahary lost patience. 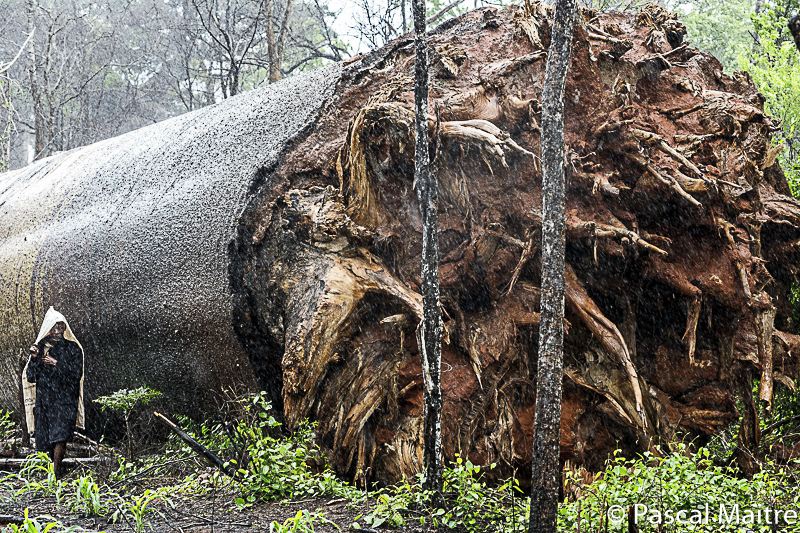 He tore the baobab out of the ground and threw it away as far as he could. The tree landed on the ground branches first and stretched its roots far into the sky. The nagging was never heard again. 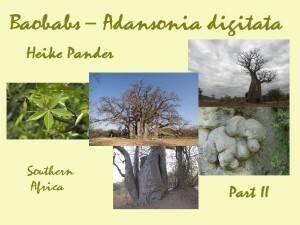 This myth is an attempt to explain the typical growth form of baobabs. 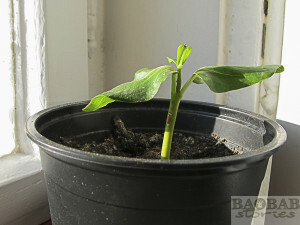 The baobab is important not only as a supplier of raw materials, food and medicine. It serves as a market and meeting place in villages. Consultations and negotiations take place under the big tree. Old trees are popular meeting places and signposts because they are usually quite visible from afar. Maître spent a night in the crown of a 25 meter tall giant to witness the impressive flowering of the baobabs. He recalls his experience: “That night I slept high up in this tree, between heaven and earth. When I woke up, I found myself among thousands of stars and opening flowers. 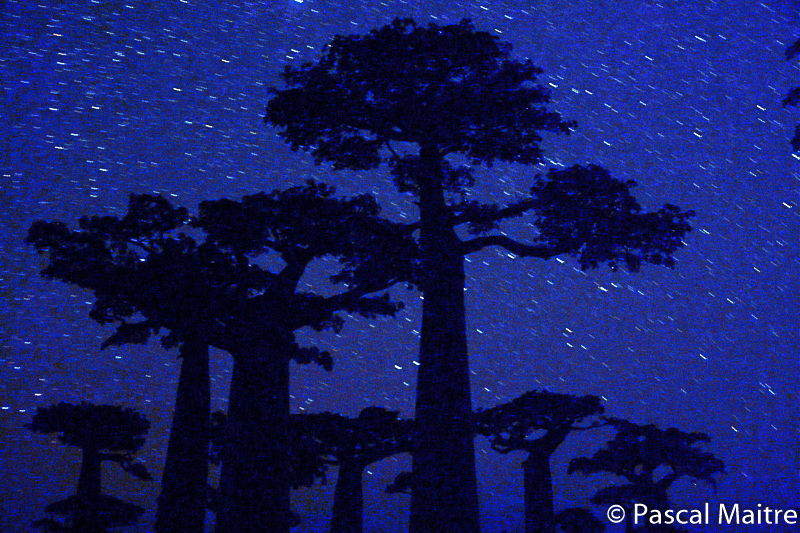 An unforgettable experience.” Baobabs open their flowers in the late evening and bloom at night. The flowers begin to wither the next morning and fall off. In the middle of the room – directly opposite of the entrance – a walkable baobab construction invites to sit and listen to a tape narrating stories, facts and figures about the monkey bread tree. It is modeled resembling the trunk of a baobab and has a diameter of four meters which seems quite huge. 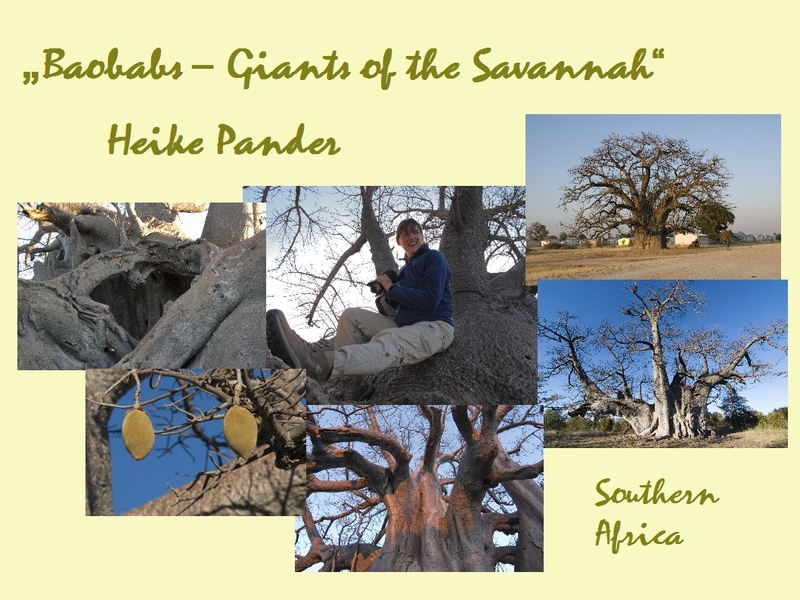 How much more impressive is it to see an old baobab with a diameter of more than ten meters? After the second round past the photographs of the enchanting trees one falls for the magic of the giants at the latest. How wonderful could it be to experience them in their natural habitat? But as it happens – six of the seven species in Madagascar are threatened. Their habitats are dwindling drastically. Responsible for this are, among other reasons, growing population and the hunger for agricultural land, which increasingly displaces the majestic trees. 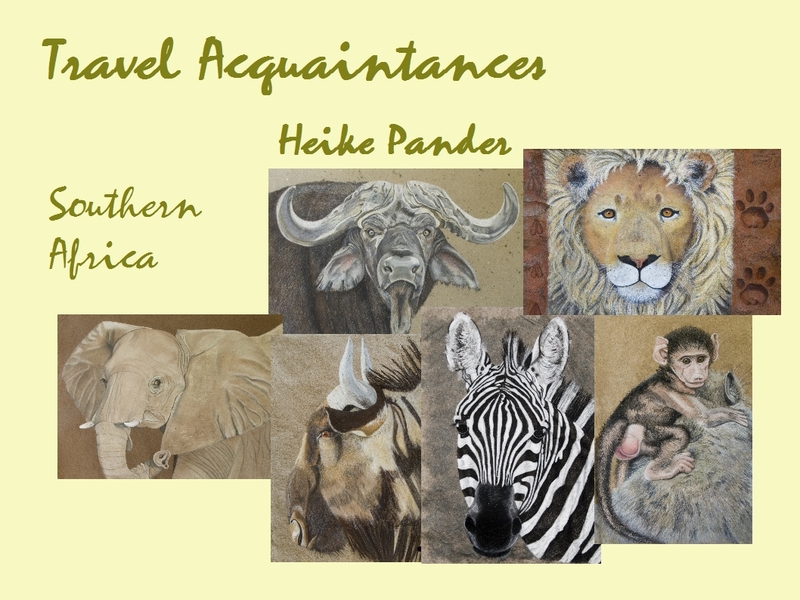 This entry was posted in Art & Artists, BaobabFriends, Stories and tagged Baobab, baobab exhibition, Madagascar, Naturhistorisches Museum Wien, Pascal Maître by Heike Pander. Bookmark the permalink.